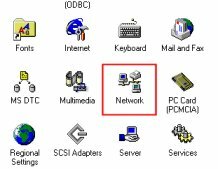 As with the Windows 2000 and FreeBSD info, this document contains instructions on how to connect a Palm Pilot to a Windows NT 4 Workstation machine for Dial-in style connectivity. At a later point I will have a look at NT 4 Server. Where any point differs from Server to Workstation I will point it out. Note this document is available in two versions, with or without inline images. Navigate to the Network icon in control panel. From within the network tab, go to the "Services" tab and add the "Remote Access Service". If you don't previously have networking installed, NT will prompt you to install networking before allowing you into this tab. If you don't have a network card, you should be able to get away with just installing a modem as long as TCP/IP networking also gets installed. The freshly installed Remote Access Service will now prompt for its Devices. Choose "Don't detect my modem..." then "Next". 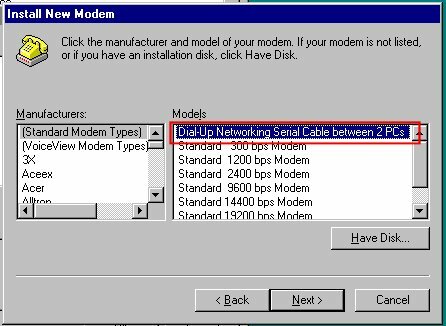 From within the "(Standard Modem Types)" select "Dial-Up Networking Serial Cable between 2 PCs"
Now select which serial port the Palm cradle is connected to and click finish. On the next dialogue, just click OK to continue. 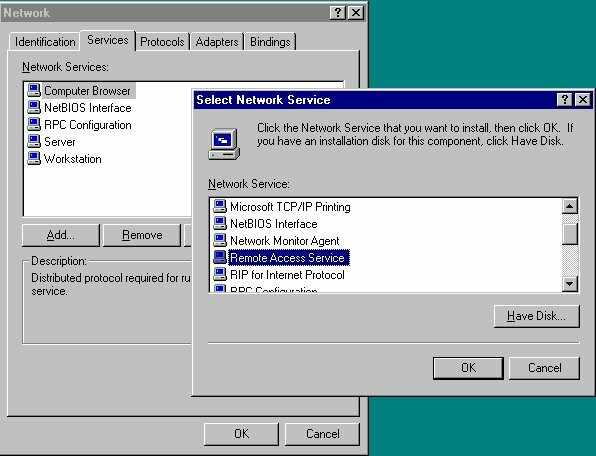 Be sure to check the "Network" option and see if TCP/IP is the only check box enabled. 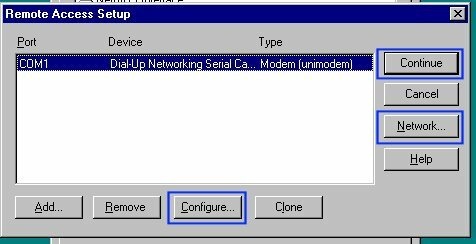 From within the "Configure" button, set the Port Usage to "Receive calls only" as you don't want to be dialing out to the Palm, only in from... Click continue when you're finished. 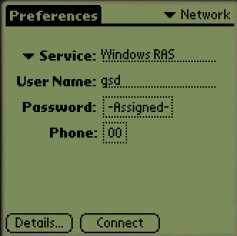 From within the RAS Server TCP/IP Configuration dialogue, setup how you want your Palm to work with the network. If you require access to other network assets, make sure you select "Entire network" in the "Allow remote TCP/IP clients to access:" otherwise it won't route. I've also selected a static pool of 2 addresses (the same used for FreeBSD and Win2k) and allowed clients to select their own IPs. 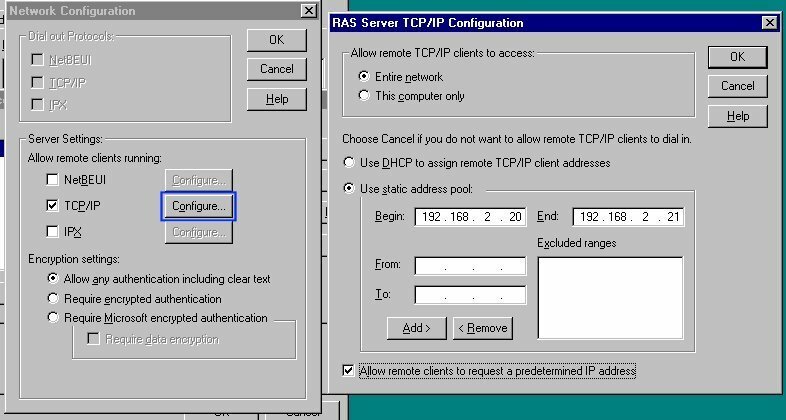 This configuration screen is well buried within the system, for reference you can access this screen later on by selecting the Properties of the "Remote Access Service" within the "Services" tab of the Network control panel, then choosing "Network" and selecting "Configure" next to the TCP/IP checkbox (highlighted in blue). 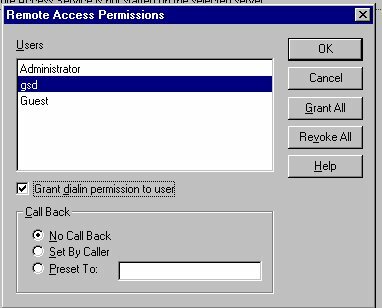 Once its all happy, navigate to the RAS User administration application at Start\Programs\Administration Tools(common)\Remote Access Admin. In the application, select Users\Permissions, and grant access to whichever account you are going to use. From within the RAS User manager, you can also start the RAS services on the Server menu. 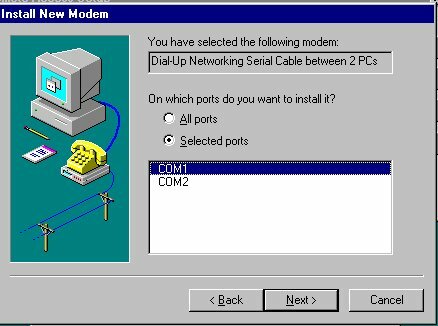 Be sure to pop into the Modems section of Control Panel and check the line speed of the serial port connection. It defaults to 19200 which the Palm can manage, however by using Link Direct the Palm can manage connections of 56kbps so increase this value if you have the software. 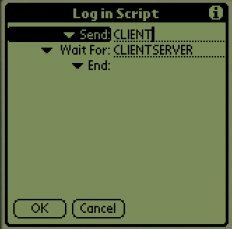 You can also record a log file of the Palm connection attempts going to the "Connection" tab and selecting the Advanced button. As with the other Palm to ... articles on this site, the device is configured with a static IP address from the 192.168.2. * pool. I may try DHCP sometime in the future, but at present there is no need for it. From the Network entry in Prefs, tap the phone number item and add 00 as the number. (This tells the pilot to access the serial port directly). Like unix, User id is not required, unless you really, really want to use it. Remember the palm seems to store it plain text. Now all you have to do is click connect... 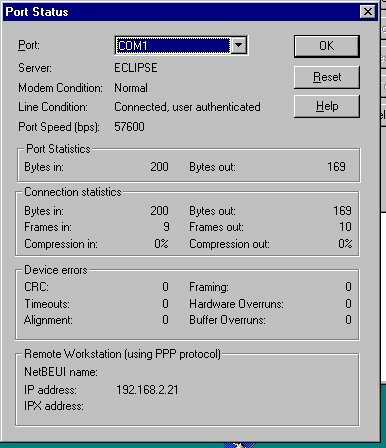 If it successfully connects, you should be able to see connection statistics via the "Dial-Up monitor" option in Control Panel. 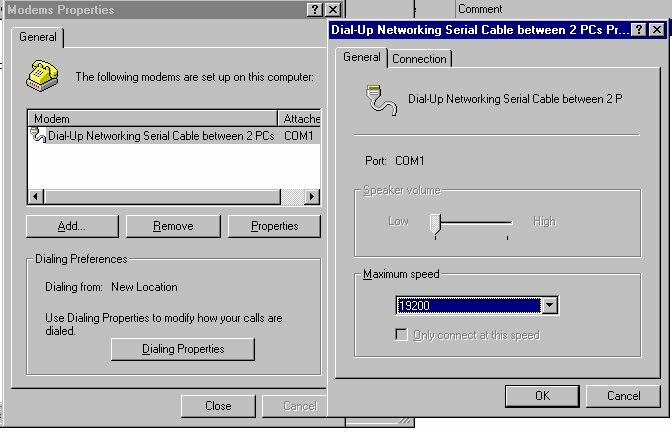 03-04-2000 15:33:07.333 - Dial-Up Networking Serial Cable between 2 PCs in use. 03-04-2000 15:33:07.333 - Initializing modem. 03-04-2000 15:33:07.333 - Waiting for a call. 03-04-2000 15:33:27.903 - Answering the call. 03-04-2000 15:33:27.903 - Connection established at 19200bps. 03-04-2000 15:33:27.903 - Error-control off or unknown. 03-04-2000 15:33:27.903 - Data compression off or unknown. 03-04-2000 15:34:36.131 - Hanging up the modem. 03-04-2000 15:34:36.131 - Hardware hangup by lowering DTR. 03-04-2000 15:34:37.333 - Initializing modem. 03-04-2000 15:34:37.333 - Waiting for a call.